The Commons Choir’s newest work, mayday heyday parfait, sets humanity’s troubles and highest aspirations to song, dance, and poetry, exploring the human capacity for empathy across difference. A diverse cast of 30 weaves a multi-layered narrative of complex musical harmonies and highly personal movement – from the violence of history that brought us to where we are now, to a way forward where individuals follow their own paths and yet still feel their connection to others. Like the title whimsically references: MAYDAY (distress signal, call for help) HEYDAY (period of great success) PARFAIT (French: perfect; layered concoction), our stories and our histories are irreducible and interdependent. Our collective force may be strong if we can find a way to undiscover ourselves and meet again. 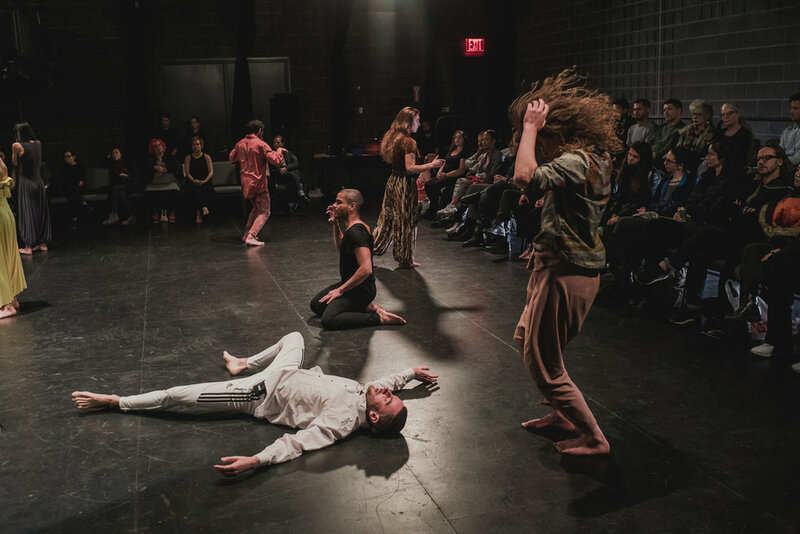 The multi-year process culminated in a premiere performance and exhibition at BRIC Arts Media in Brooklyn, NY on November 9, 2017. 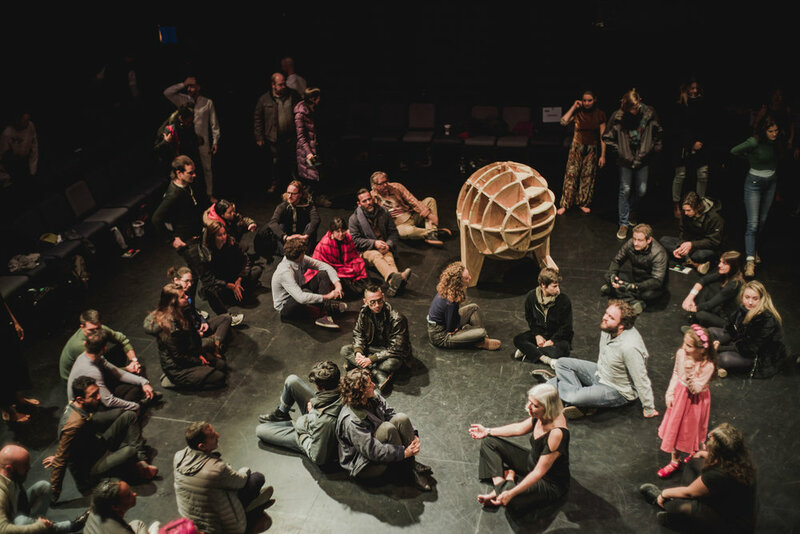 The work is at the intersection of movement, voice, political economy and theater.